The Galloway Township Police Department was issued two special purpose vehicles through the federal Law Enforcement Support Office (LESO) program. 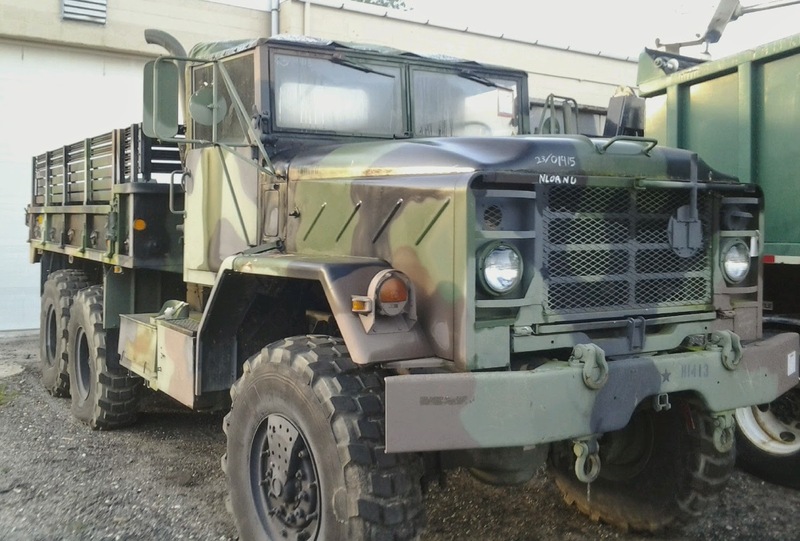 "This program is administered through the Defense Logistics Agency (DLA) and supplies law enforcement agencies with surplus military property" Sgt. Joe Picardi said. The vehicles include a Humvee and a 6x6 Utility Truck. Both vehicles were inspected by the Galloway Township Fleet Manager and picked up at Fort Dix. Both are in running condition and appear to have been well maintained. As with all Township vehicles they will receive routine maintenance at the Township Garage. Parts for the vehicles are also available through LESO. If at any point in time the vehicles are found to require major repairs that would be cost prohibitive to the Township they can be returned to the DLA. The vehicles are not armored and will not be utilized for routine patrol, they will however be utilized for emergency management purposes such as severe flooding or snowstorms. "They are capable of getting into areas that may be inaccessible by the normal fleet of police vehicles" Sgt. Picardi said. With several areas of the Township in close proximity to the bay and other bodies of water these vehicles will increase the capabilities of the Police Department to evacuate residents or bring in emergency supplies and personnel as needed. They are also capable of transporting a large quantity of traffic management equipment such as cones, signs, and barricades. The vehicles will be available to assist our Fire Department and EMS as well as neighboring communities if requested. The poor attempt to "justify" the acquisition of these vehicles borders on the insulting. Carrying traffic cones? Severe flooding? Where in Galloway is the flooding so severe as to justify these beastly vehicles? Severe snowstorms? Since when is Galloway in the Arctic Tundra? We barely get our ROADS plowed as it is......but we need a Humvee and a 6x6? You know what helps during snow storms? PLOWING THE ROADS! You know what helps during a flood? a BOAT! Absolutely ridiculous. There's no such thing as a free lunch. These vehicles have no place in Galloway. Waste of taxpayer money to get these vehicles due to the high cost of maintenance. What next assault vehicles to keep us inline.